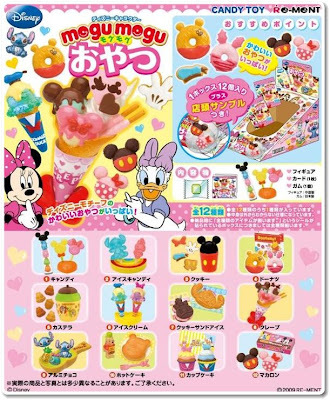 ◇ Disney Re-ment (Rement) Mogu Mogu Snacks will be released on September 14, 2009. A miniature collection (much similar to gyu gyu pets) of puchi bite-sized nibbly food bits in Disney shapes and colors. Captures the cuteness that has a universal appeal among young Japanese people. 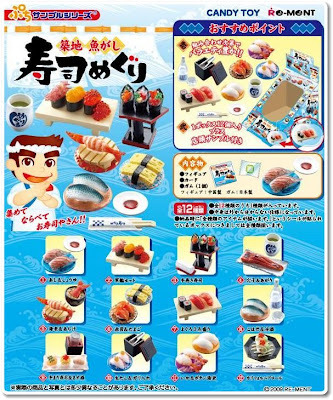 ◇ Re-ment (Rement) Odori Food Samples will be released on September 21, 2009. 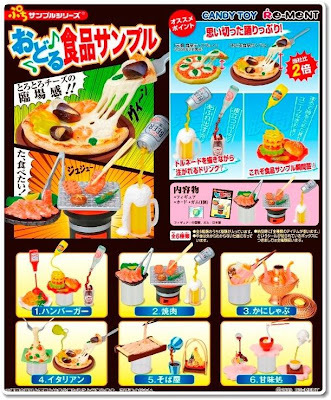 This miniature set is a break from the older re-ment food displays. This time round more creativity and detail brings the food to life. Food swept up and drink guzzling down almost engages the watcher as if it was a live food musical rather than a mundane window display. 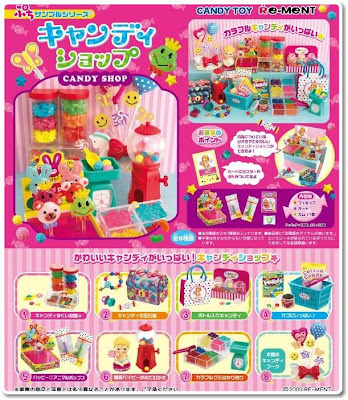 ◇ Re-ment (Rement) Candy Shop will be released on September 28, 2009. Candy! Candy! Candy! Who couldn't ask for more..........after an indulge in chocolate last year, fans can now sink their teeth into this set of miniatures that can be pieced together to create a whimsical candy shop. With plenty of color and happy faces, makes Halloween look drab. 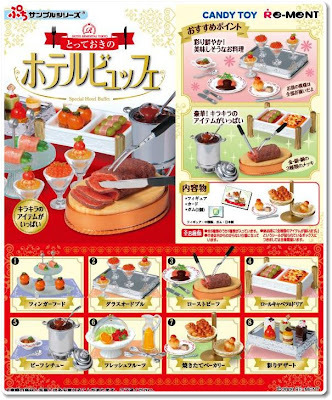 ◇ Re-ment (Rement) 5 Star Hotel Buffet will be released on October 19, 2009. This miniature collection goes hand in hand with the the previous gorgeous Uttori Sweets and ostentatious 5 Star French Restaurant collections....sets steeped in decadence with plenty of gold and glimmering parts. This time, there's plenty of silver and glimmering parts. 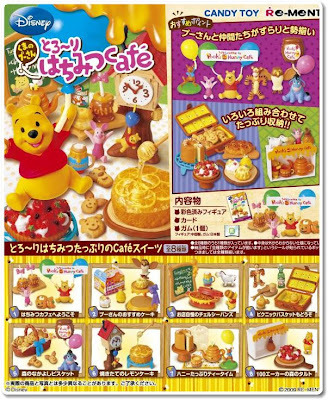 ◇ Disney Re-ment (Rement) Winnie the Pooh: Honey Dipped Cafe will be released on October 26, 2009.